We invest in transport because – overwhelmingly – the calculations say we will get where we’re going faster and time is valuable so it’s worth it. But the ways we’ve assigned a dollar value to it are pretty weird, explains Matt Lowrie of Greater Auckland. Is it time to move past travel time savings? In a recent post, Harriet questioned whether our business cases are being founded on a lie. That lie relates to the issue of travel time savings, which form the heart of the “cost benefit analysis process” that guides NZTA’s transport funding decisions. At a simplistic level, travel time savings seem like an obvious benefit from a transport project. • If I get from A to B quicker, there’s a benefit because I can now spend that time doing something else rather than travelling. • Let’s say a new road or public transport project saves 5 minutes for 10,000 people a day, that’s over 800 hours of total savings per day – or 12,600 days of aggregate travel time savings per year. • Even at a fairly low value of time, you can see how this could add up to a major benefit. Let’s say on average you value this time at $10 an hour (keeping in mind that most travel is for non-commercial purposes) you are creating around $3 million a year of benefit. Travel time savings account for the majority (typically around 80%) of ‘conventional’ economic benefits for most transport projects. Thus the unit value of time savings is one of the most important parameters in transport economics (for both demand forecasting and economic appraisal purposes). So if our transport decision-making was solely guided by cost-benefit analysis, then basically all we would really be interested in is “for every dollar of spend on transport, how do we get the biggest travel time savings?” Or, put differently, how can we cheaply enable people to go faster? This is why projects like the proposed Lincoln Road upgrade, with its hugely wide intersections and horrific pedestrian environment, somehow ends up with a high cost-benefit ratio. Excellent value for money, apparently. Binoculars to see other side of the road obviously not included in calculations. 1 What if “going faster” encourages more people to drive, which quickly means they’re no longer going faster? 2 What if “going faster” undermines a whole pile of other outcomes we want from spending money on transport, like improved safety or encouraging more people to use sustainable transport options like walking, cycling and public transport? As Harriet pointed out, these questions have been asked for a while and the data isn’t great in supporting travel time savings. Despite billions in investment largely justified by travel time savings, average travel times have actually stayed about the same. 1 Time-shift induced demand: This is when people may have previously taken their trip during an ‘off-peak’ or ‘shoulder-peak’ time, but shift to driving during peak hour because there is more capacity available and (at least initially) congestion during peak times has been reduced. 2 Route-shift induced demand: This is when people may have previously taken a variety of different routes to get to their destination, but then shift to using the one that was previously congested. I do note that this type of induced demand is likely to benefit the roads that were previously being used, but it still contributes to more potentially unexpected traffic using the route in question. 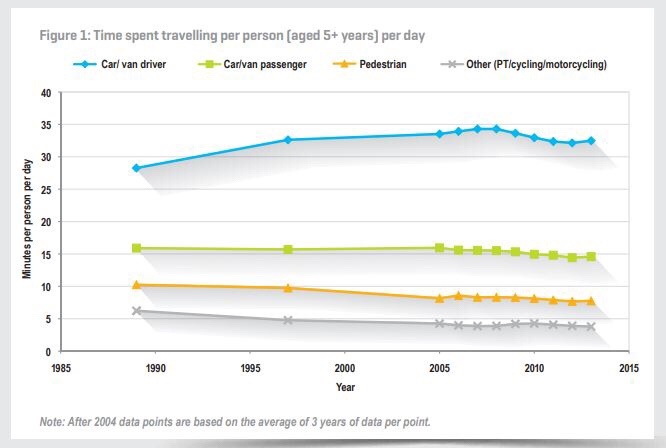 3 Mode-shift induced demand: This is when people who may have previously used public transport, or walked, or cycled the route switch to using their cars, because the reduced congestion has made that a more attractive option. 4 Changed destination induced demand: This is a longer term effect, where people will potentially alter where they live or where they work to take advantage of the improvements to the corridor. They may not have previously used this road, but its initial benefits will attract people to locate their homes or jobs somewhere near that road. 5 Change of trip frequency induced demand: This is when people might make trips along a certain corridor more often because of the improvements to that corridor. For example, someone may not worry about undertaking their necessary tasks in separate trips along an improved corridor, whereas previously they might have bundled them together into one trip. In short, focusing so much on travel time savings in the way we do cost-benefit analyses doesn’t really match up with the “broader outcomes” that most transport policies and strategies seek to achieve. So how might we do things differently? In a way we already are, with cost-benefit analysis being generally less important than “results alignment” in NZTA’s investment assessment framework, which is used to rank projects for funding. This approach appears to be consistent with what happens throughout Europe, where Sustainable Urban Mobility Plans guide decision making. These are described here. Partly in recognition of the problems with transport modelling, some European cities have changed the way the problem is framed – from meeting forecast travel demand, to achieving a number of social and economic objectives through transport investment. Through sustainable urban mobility plans, different types of projects are favoured. 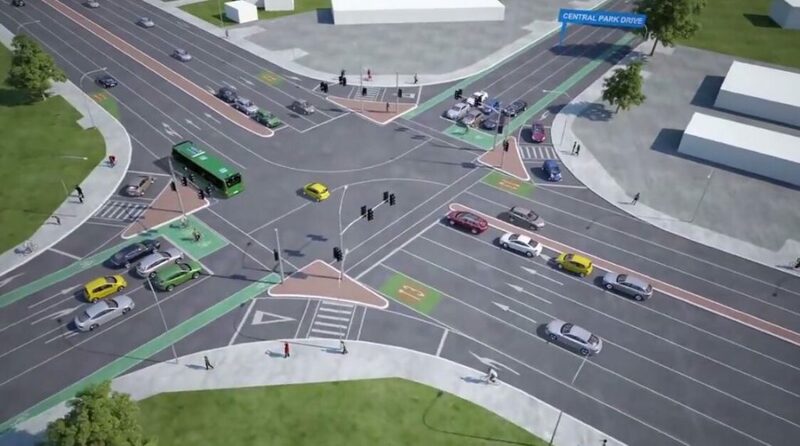 These include: better integrated bus networks, more bus lanes, safer cycling and walking routes, improved park and ride facilities, and traffic calming measures that redesign streetscapes and reduce speed limits to improve mobility for all road users. Rather than facilitating the movement of motor vehicles, this process emphasises creating safe, reliable and affordable access with less travel and a reduced environmental footprint. It also requires that engineers, urban planners, economists and other specialists sit down with the business and community sectors to build a consensus on what needs to be done. This is in contrast to current engineering-dominated methods. This doesn’t mean cost-benefit analyses for transport projects are irrelevant, but emphasises the need to do them better and to think about what we want the real, long-run benefits of transport expenditure to be. Is it really about shaving a few seconds off travel time? Is it about having more choice? Is it about safer streets? Less environmental impacts? How might we rank these different outcomes? Can we ever actually objectively put a dollar value on these wildly different outcomes? While I don’t have all the answers to these questions (arguably it’s impossible for anyone to have all these answers as they obviously vary from person to person), next time you see a transport cost-benefit analysis have a think about the different components of the project’s benefits and how these might have been quantified, or the impacts that might not have been quantified. As we learned through the Regional Land Transport Plan, ultimately you simply can’t delegate transport decision-making to a computer. How much is Wellington’s regional or local transport planning being done by computers running equations without human intervention, or by models on computers with human input by experts? Are we getting roughly right results? There are lots of models for figuring out the “true net benefit” of an investment – in other words, whether all things considered it’s worthwhile. Some are getting more press – like Treasury’s Wellbeing and Living Standards frameworks – since the PM’s speech. Might we see changes in how we calculate value from money invested in transport?